It’s always rosé season in this house! 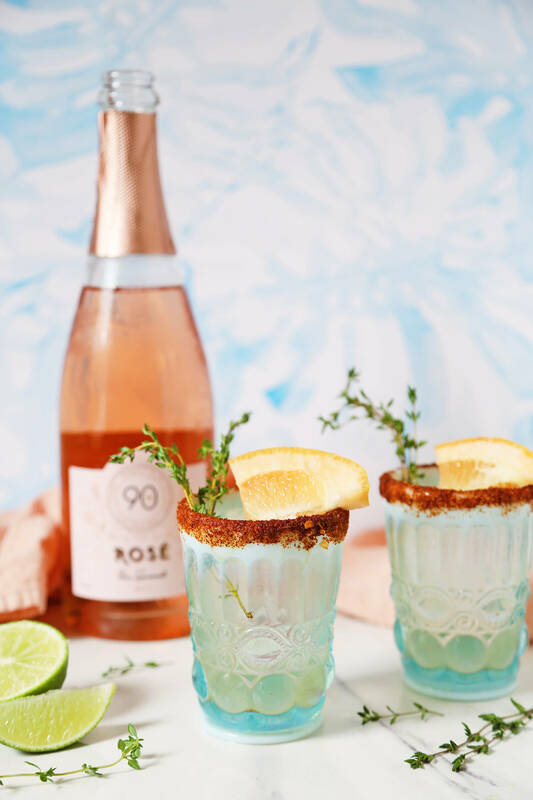 So excited to team up with 90+ Cellars for this post to share my Sparkling Rosé Paloma recipe with you. If you haven’t heard of 90+ Cellars, it’s a really cool wine brand that curates a portfolio of wines from all over the globe. 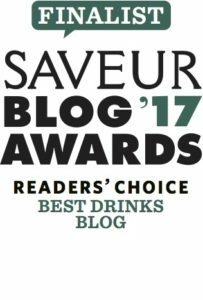 They love great wine and their mission is to make drinking great wine easier and more affordable for everyone. They do this by buying wine at a discount from acclaimed wineries and vineyards — then they are able to sell great wine at a reduced price under their label. Thus bringing better wine to more people at a lower price. It’s a pretty brilliant concept! 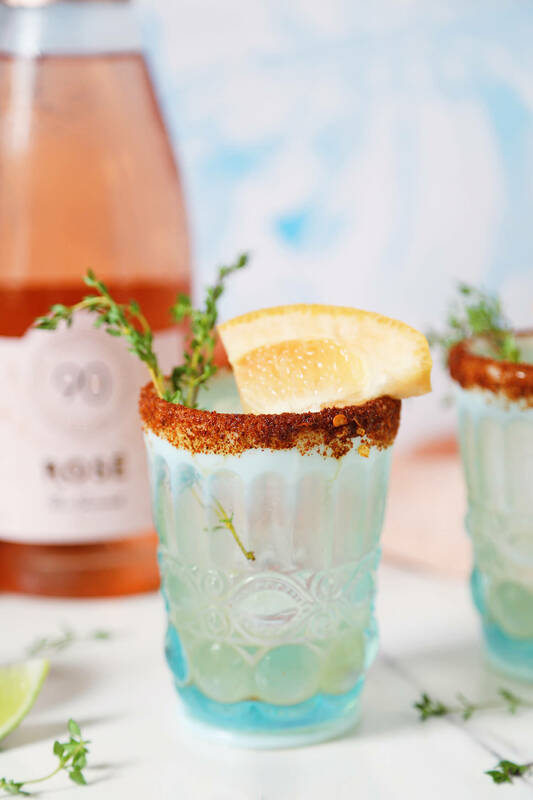 I’ve used their Sparkling Rosé in this recipe which is lovely in a glass on its own but also works marvelously in cocktails. 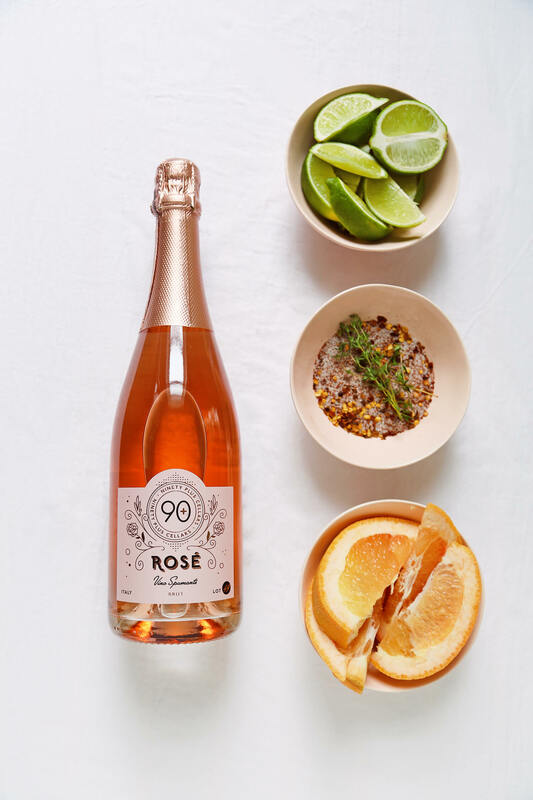 90+ Cellars Sparkling Rosé is made with Pinot Noir grapes from Northern Italy. It is pale pink in color, dry, fruity, and has charming effervescence. It’s notes of strawberry, passionfruit, and rose petals make it perfect for complimenting spirits and adding a delightful flavor to cocktails. First, make your ancho chile salt by combining equal parts salt and ancho chile powder. I also sprinkled in some crushed red pepper for extra texture. Rim the edge of your serving glass by running a lime wedge around it and then dipping it into a bowl of your prepared ancho chile salt. Next, add tequila, grapefruit juice, lime juice, simple syrup and thyme to a cocktail shaker. Add ice, shake, and then strain into your salted glass filled with ice. 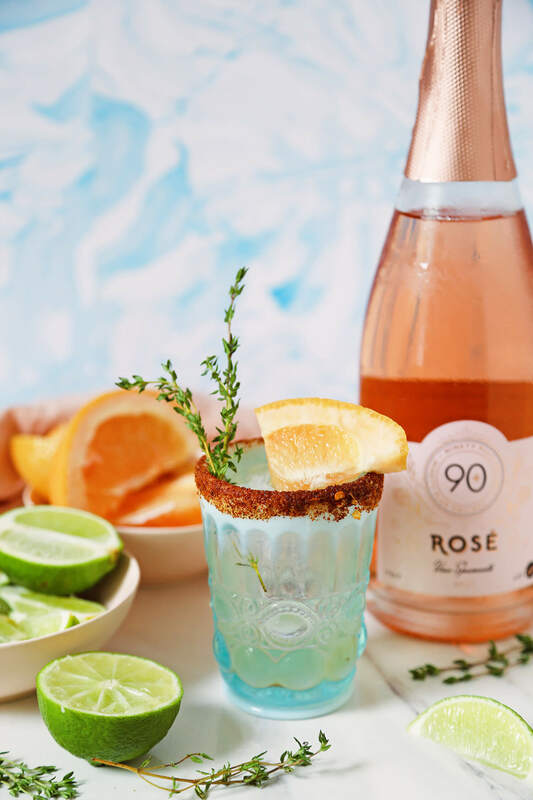 Top with 90+ Cellars Sparkling Rosé and garnish with a sprig of thyme and grapefruit wedge. Have I ever told you how much I love Palomas? I do. I do. They’re citrusy and oh so refreshing. They’re like little fizzy effervescent grapefruit margaritas. Then I went ahead and added rosé to it and made it 100,000,000x better. 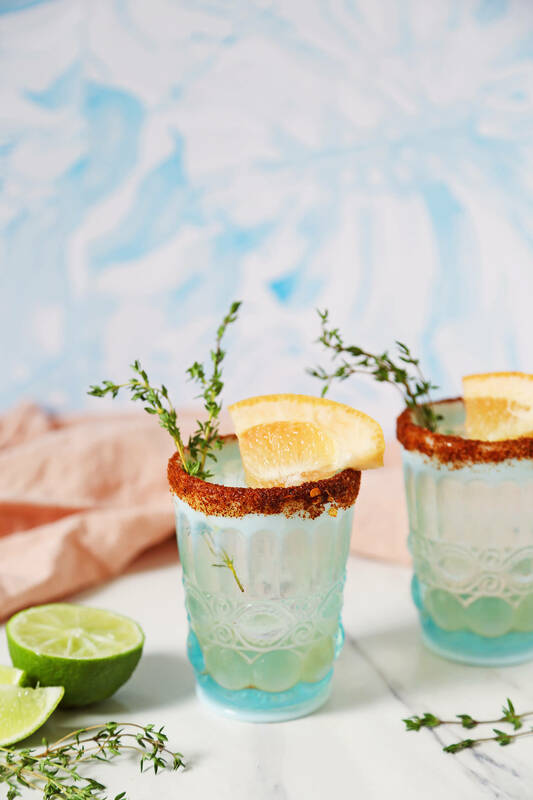 Traditionally a Paloma is made with tequila, lime, and grapefruit soda. 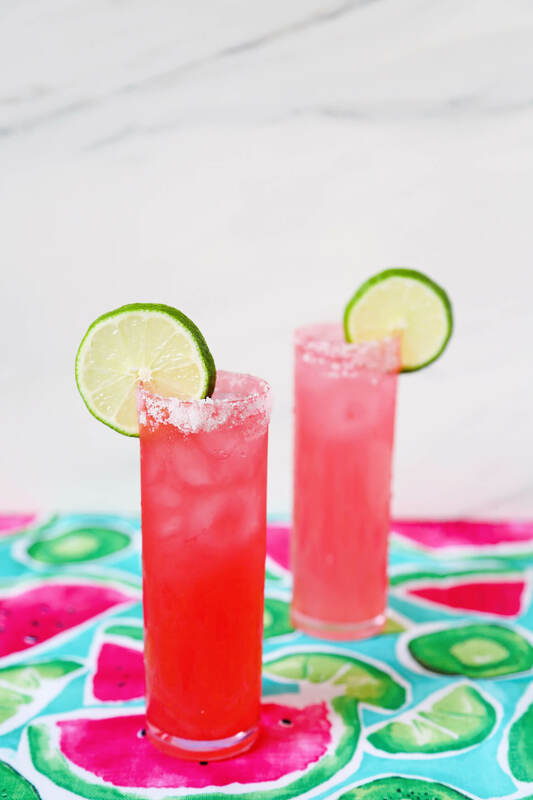 I like to make mine with the fresh juice of lime and grapefruit and then I use club soda to add the carbonated element. 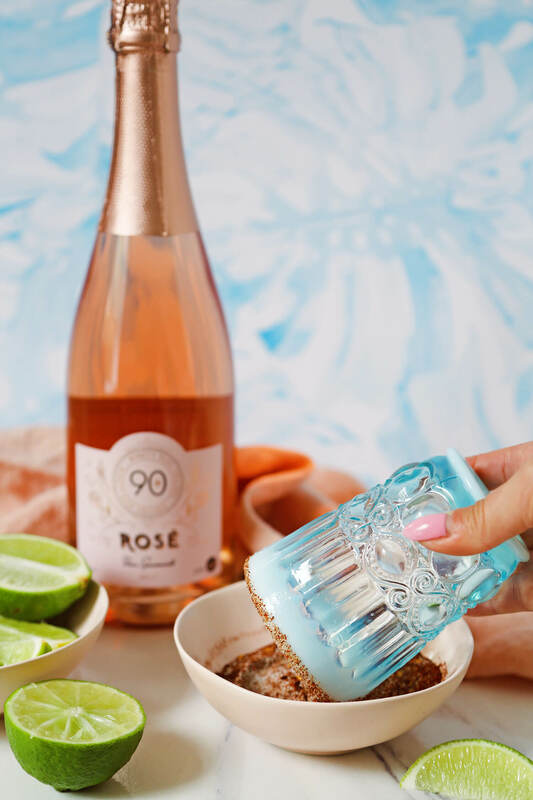 Here I simply swapped out soda for 90+ Cellars Sparkling Rosé and it truly came out amazing! 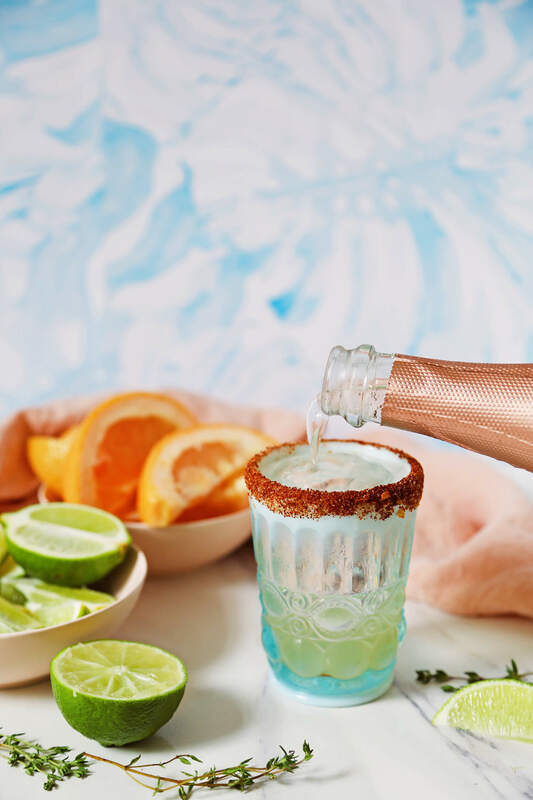 This Sparkling Rosé Paloma is fruity, juicy, fresh, clean, fizzy and herbaceous. Did I mention delicious? Why yes it is! I’m so excited to be teaming up with Bai for this next post! Memorial Day Weekend is just over a month away and is the official kick-off to Summer. 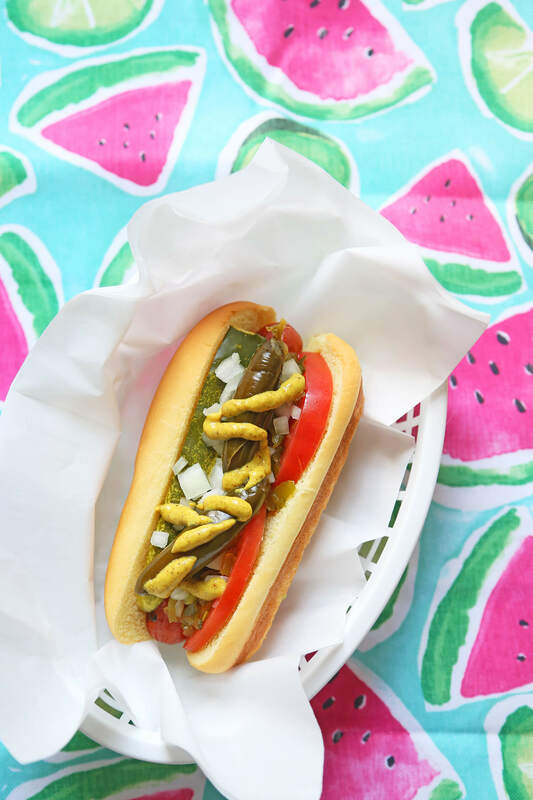 I’ve put together 3 fun ways for you to celebrate Memorial Day Weekend this year. Whether you’re staying home, entertaining, or going to a friends party, it’s always a good idea to have a few tricks up your sleeves. I’ve never blown up balloons with helium before this project. 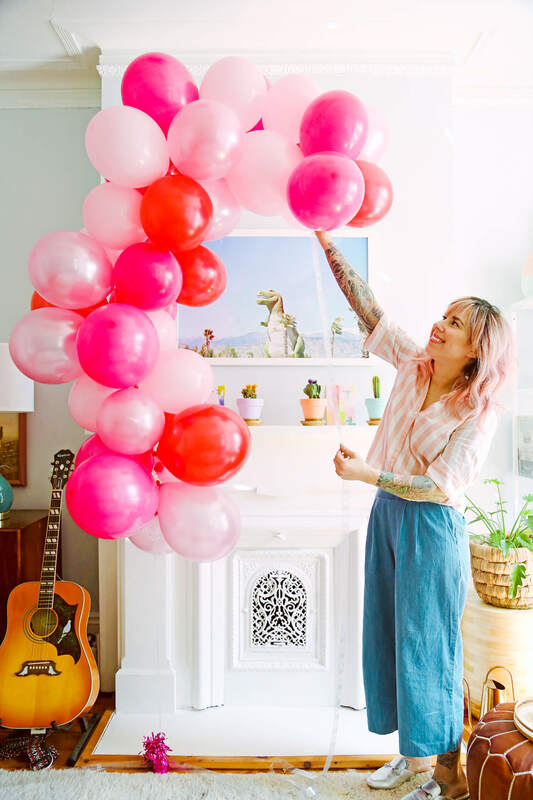 Honestly, it was so easy and I got this Balloon Time tank that is available at Party City. They’re so easy to use and can easily be recycled when empty. 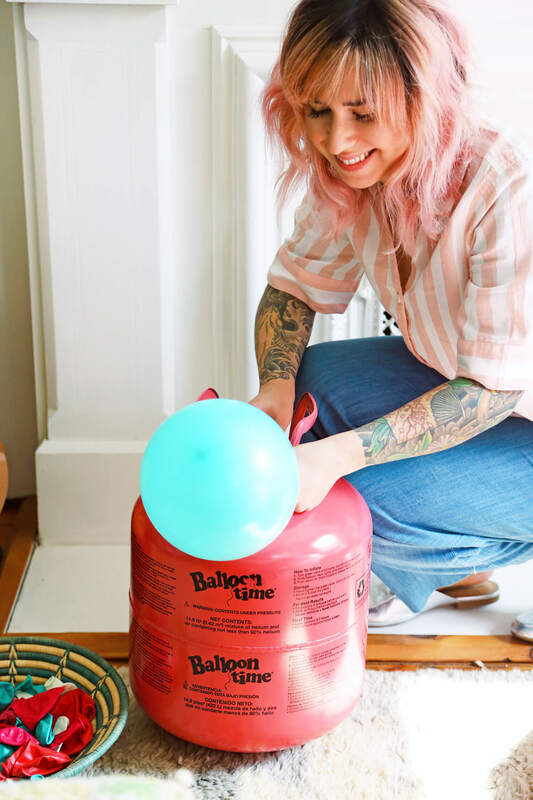 To use all you have to do is twist the nozzle, press down to fill the balloons, and then tie the ends up. You can blow up all your balloons and then attach them or attach them as you go which is what I ended up doing. If you blow them all up at once, make sure you can reach them, or put them in garbage bags so they don’t float up. Next, you can attach them to the balloon decorating strip. 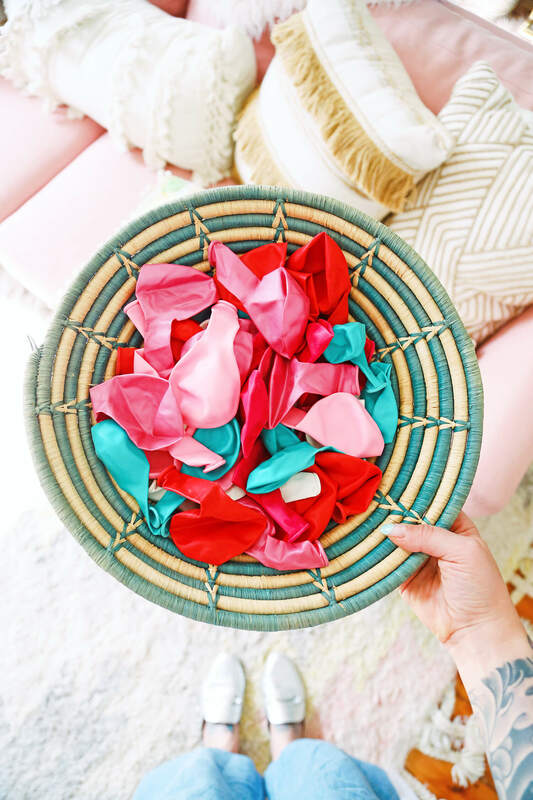 Slip the knot of a balloon through the hole of the decorating strip. Skip a few holes and place another balloon facing the opposite direction. 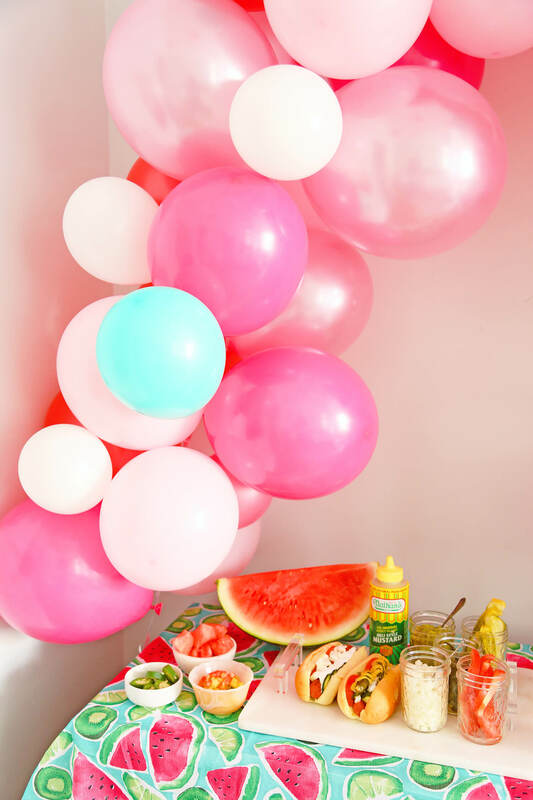 Keep alternating balloon colors and sides until you have a balloon strip as long as you need your arch to be. 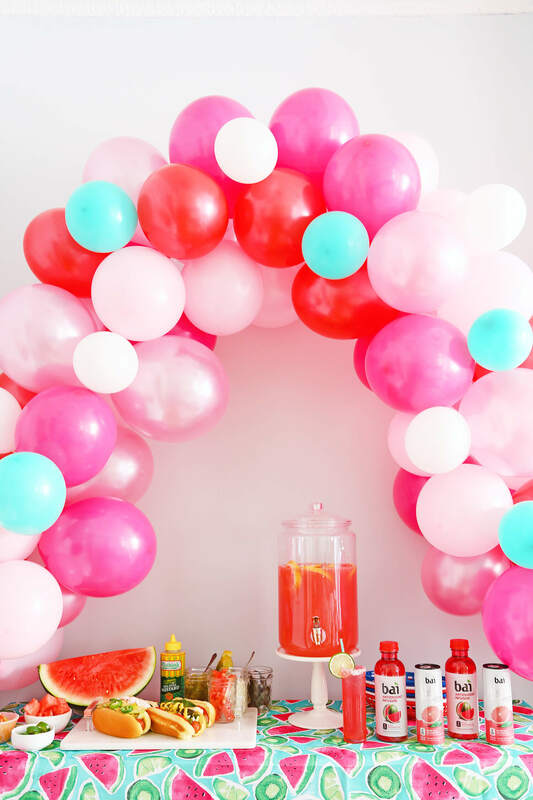 If your balloon arch is looking scarce you can add a few more balloons where needed, but don’t go too crazy. We’re going to add little balloons to fill in the holes too. Once all your main balloons are on the strip as long as you need it to be, you can cut the strip on either side where the balloons end. 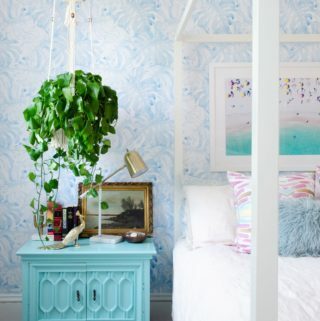 You can use balloon string to tie your arch to the table or piece of furniture your using. I tied mine to strings that went to the floor and then used balloon weights to hold it down. 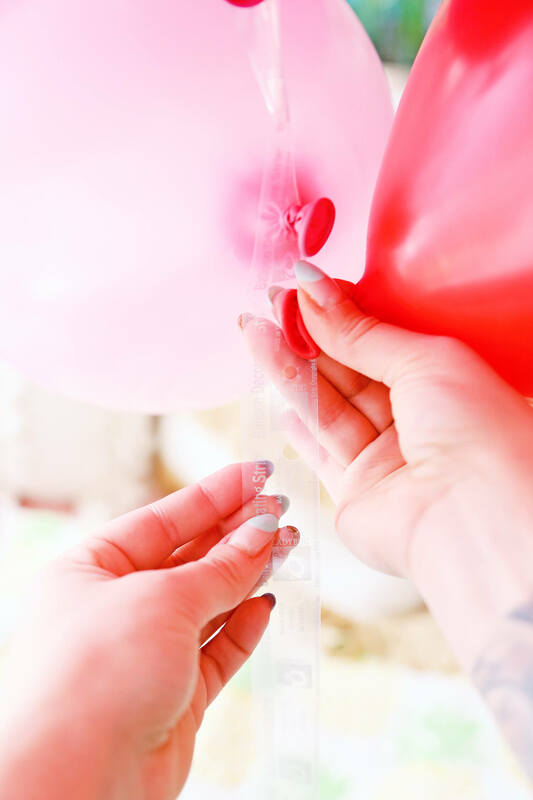 Use glue dots to stick mini balloons into the holes and crevices until you have an arch that’s completely full. First, infuse your tequila. 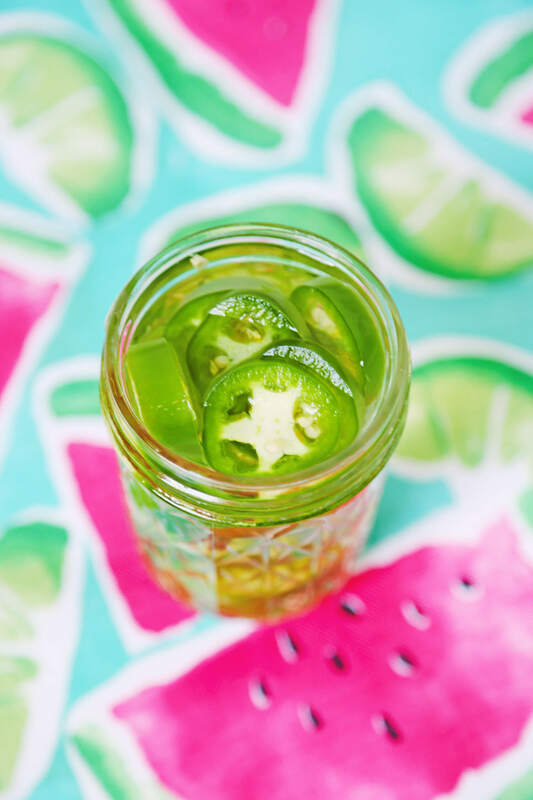 Slice jalapeño and add it to a jar with the tequila. Depending on the intensity of your pepper this may infuse fairly quickly. With this in mind, I’d say infuse it for 10 minutes or 20 minutes MAX. I have a very high tolerance for spice, however, if you don’t straw test it every few minutes until it’s at your desired spiciness. Once your tequila has infused you can build your drink. Now, rim your glass with salt. 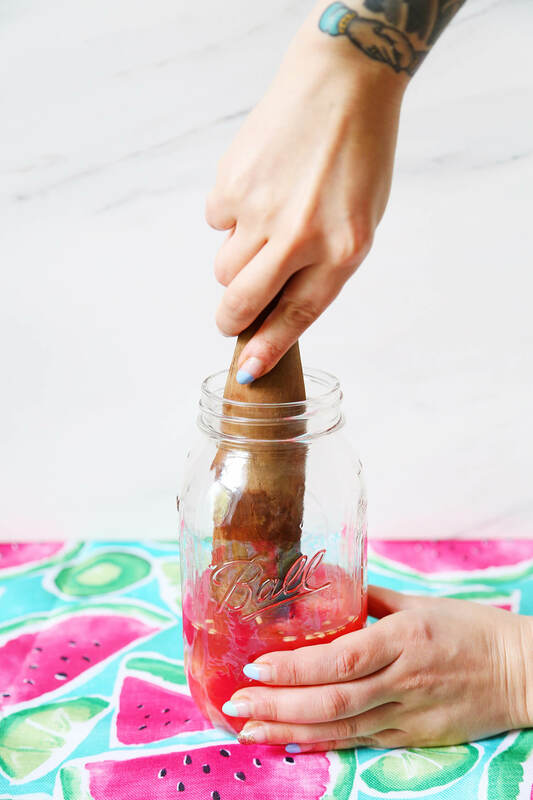 Add watermelon together with lime and Bai Kula Watermelon to a shaker and muddle. Next, add the jalapeño tequila and shake with ice. 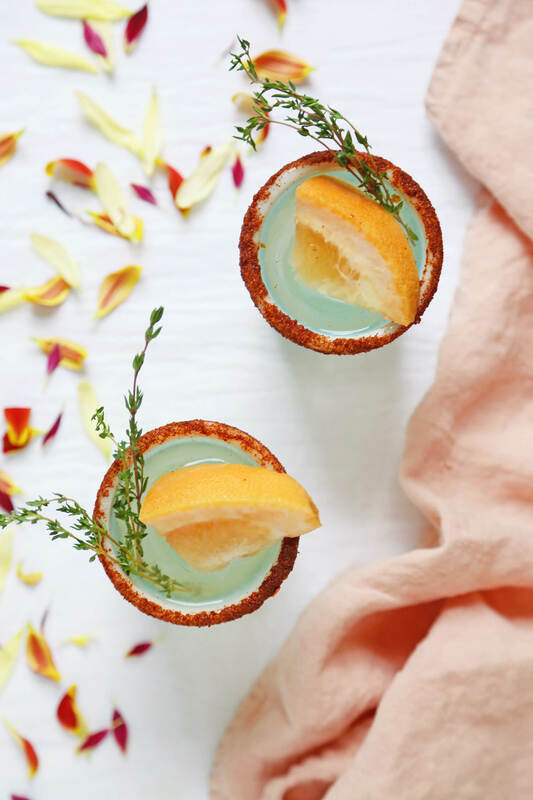 Strain into your desired serving vessel that’s been rimmed with salt and top with Bai Gimbi Pink Grapefruit. Finally, garnish with a lime wheel. 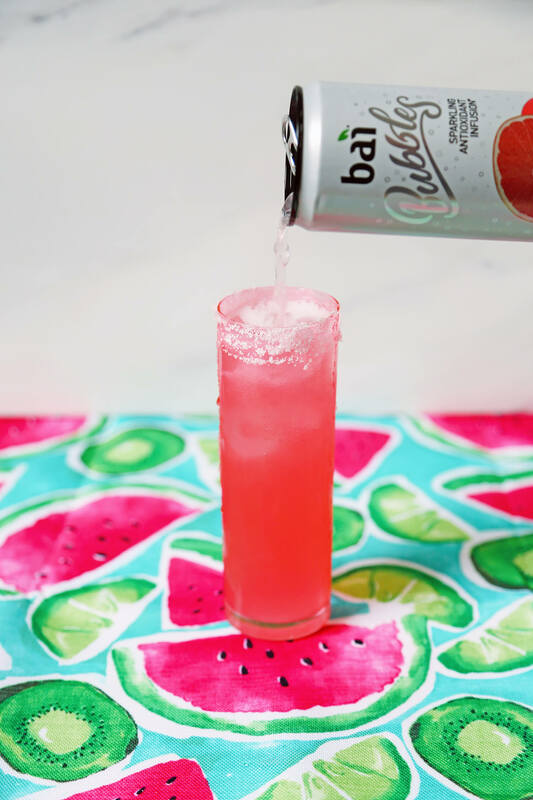 This Jalapeno Watermelon Paloma is spicy, fruity, refreshing, and not to mention delightfully fizzy, which makes it perfect for a hot day. 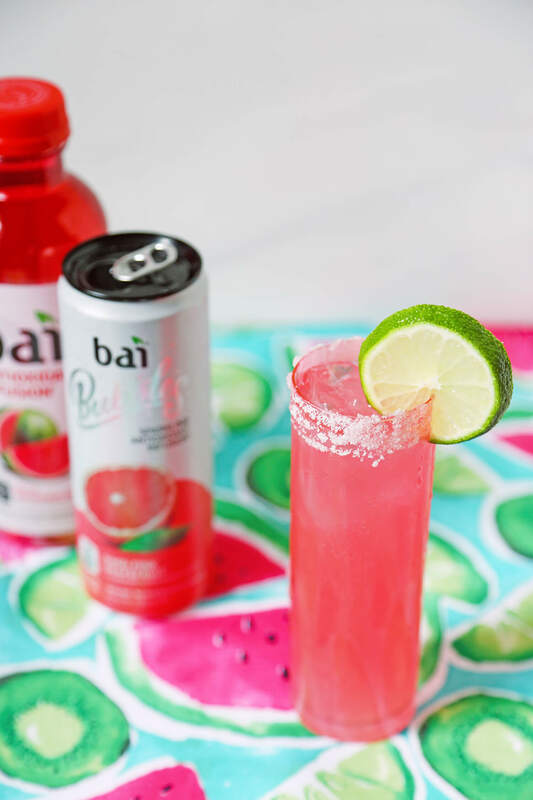 I found that using just the Bai Kula Watermelon made this drink sweet enough so no added sugar or syrups necessary. Additionally, you can also make this Jalapeño Watermelon Paloma a large format style drink too. To serve 10 people add 20 oz. jalapeño infused tequila, 2 bottles Bai Kula Watermelon, 8 oz. 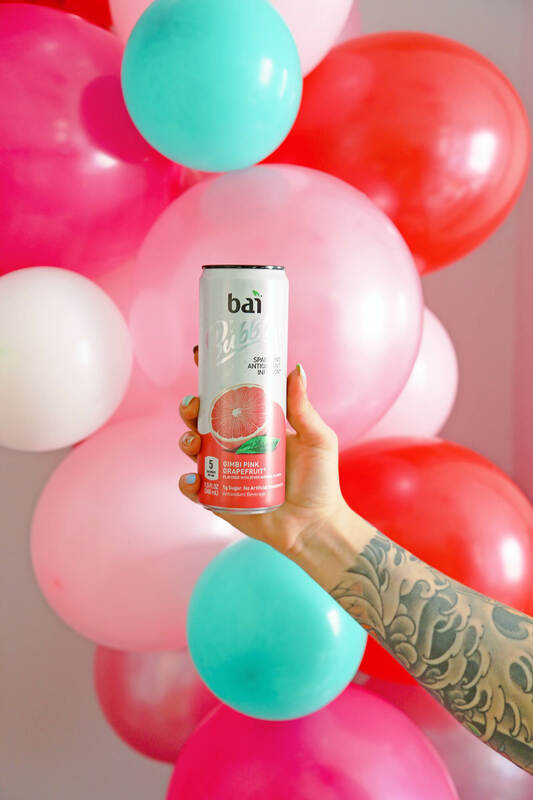 lime juice, 2 cups watermelon, 2 sliced grapefruits, and 2 cans of Bai Bubbles Gimbi Pink Grapefruit to a punch bowl or drink dispenser with ice. 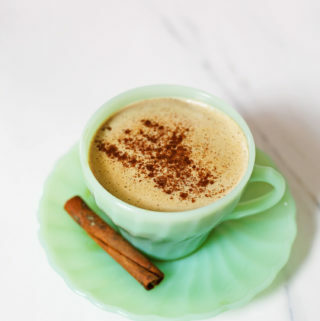 It’s such a perfect beverage for your Memorial Day Weekend festivities! 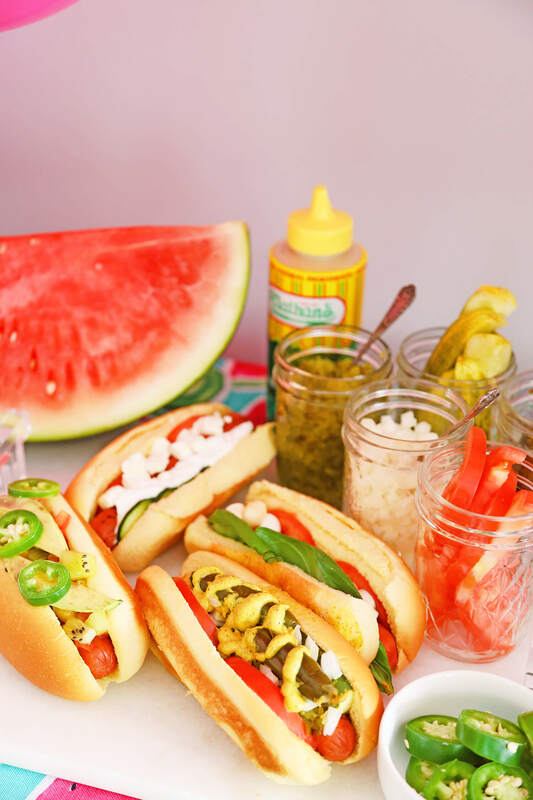 It wouldn’t be Memorial Day Weekend without some hot dogs! 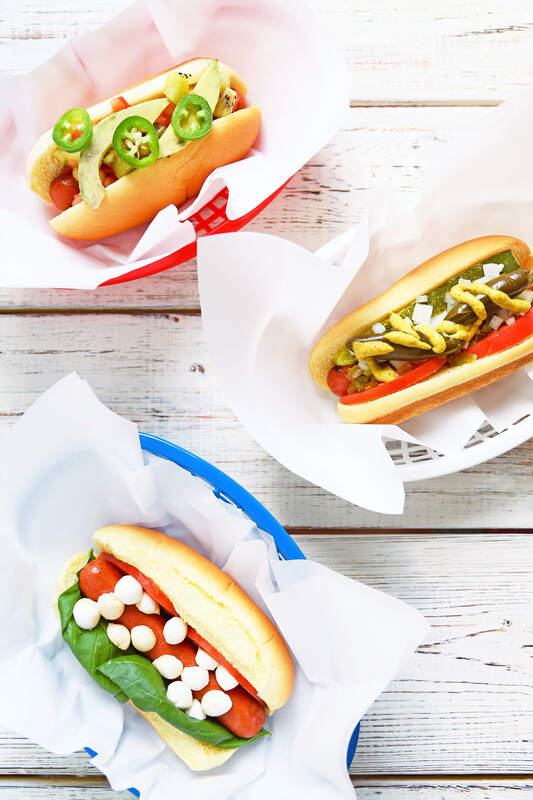 Pick out your favorite type of dog and cook it your favorite way. These are my 4 suggested ways to dress up your dog this holiday weekend. To make the pineapple kiwi salsa simply toss onion, tomato, kiwi, pineapple, salt, pepper, hot sauce, and lime juice in a bowl. 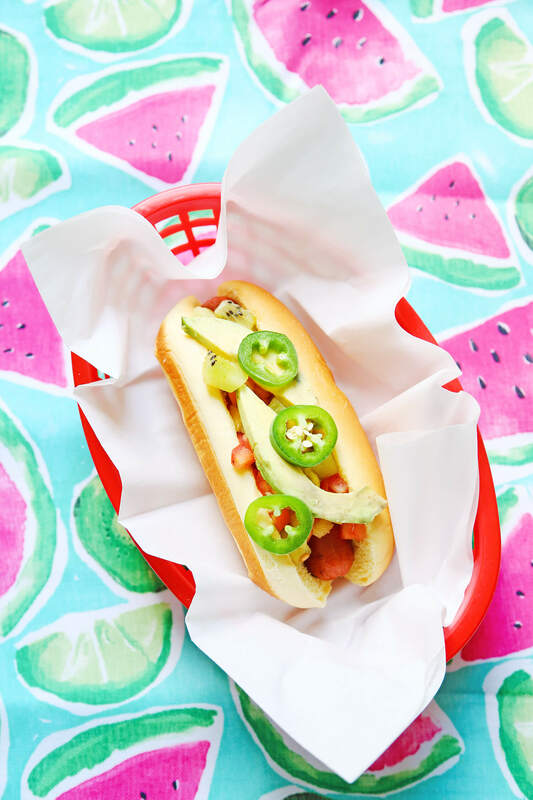 To assemble your Mexican Dog top with the salsa, freshly sliced avocado, and freshly sliced jalapeño. Cut tomatoes into half-moon slices. In your hot dog bun line one side with tomatoes and one side with fresh basil leaves. Top with fresh mozzarella, I used mozzarella pearls, and then drizzle with balsamic vinegar. 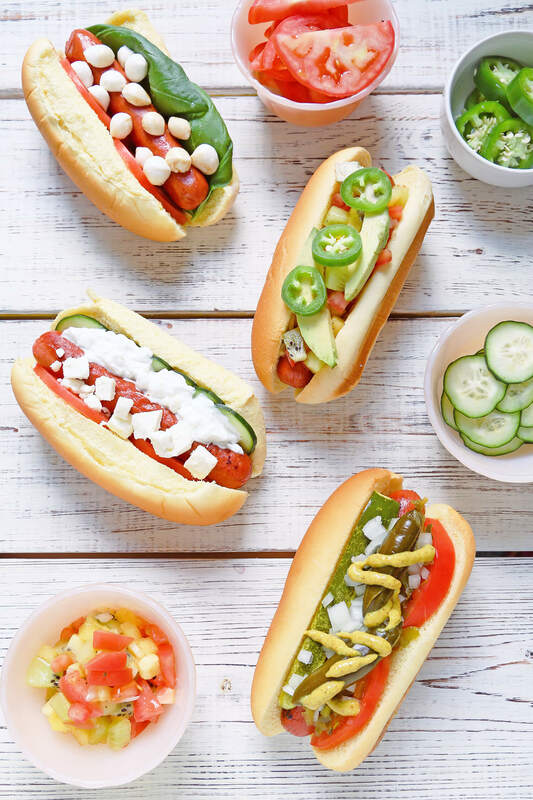 Cut cucumber as well as the tomatoes into slices and line your hot dog bun with them. 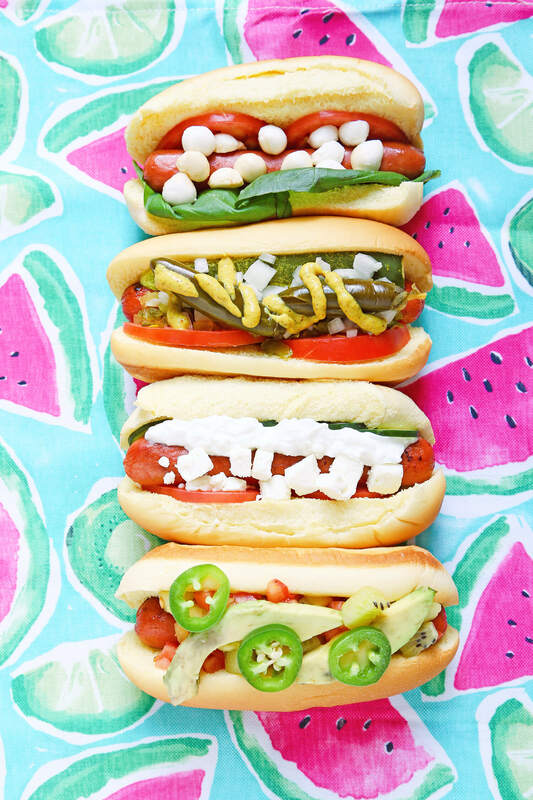 Add your hot dog to the bun and then top with greek yogurt and a sprinkle of feta cheese. I had so much fun putting this all together with Bai for Memorial Day Weekend. 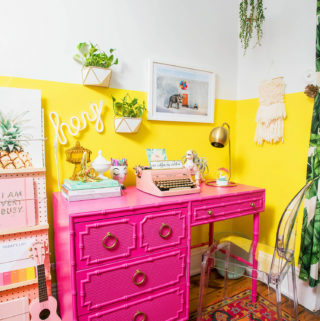 You can use one of these ideas or all of them, it’s totally up to you! 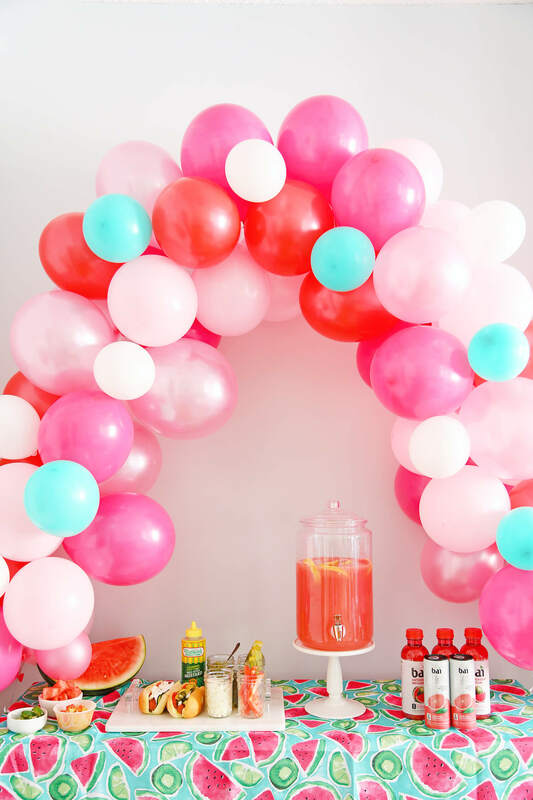 I love the idea of doing a hot dog bar with the DIY balloon arch, and serving your favorite kind of dog coupled with a large format drink, like the jalapeno watermelon Paloma, to go along with it. I’d love to hear what your planning for your Memorial Day Weekend especially if you decide to try any of these ideas. Make sure you chime in on the comments below and let me know what you think! Thank you for reading this sponsored post that makes Arsenic Lace possible. Hello Everyone! Excited to announce that I’ve teamed up with Shaker and Spoon for a little giveaway. 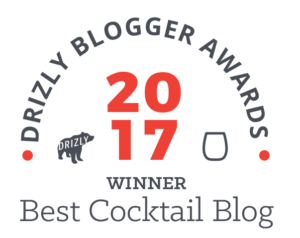 If you’re not familiar with them they do a monthly subscription cocktail club. All you have to do is pick up the bottle and they take care of the rest! That just sounds too easy, doesn’t it? It defintely takes the hassle out of making drinks at home. No running to the super market, fussing over making syrups, running around for those impossible to find bitters. I know we’ve all done it…I defintely have. 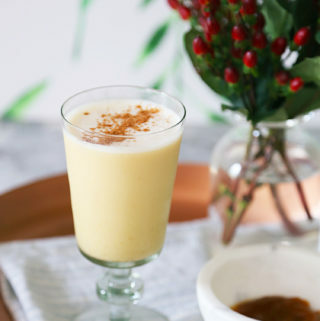 Fear no more, because with Shaker and Spoon you can confidently make drinks for your date, friends, or just for yourself, and the cocktails will always be perfect and stress free. I recieved February’s After Party Box which included ingredients for three champagne inspired cocktails, because after the holidays everyone has bubbly laying around, am I right? Guilty! I made the Time After Thyme by my friend Pamela Wiznitzer. 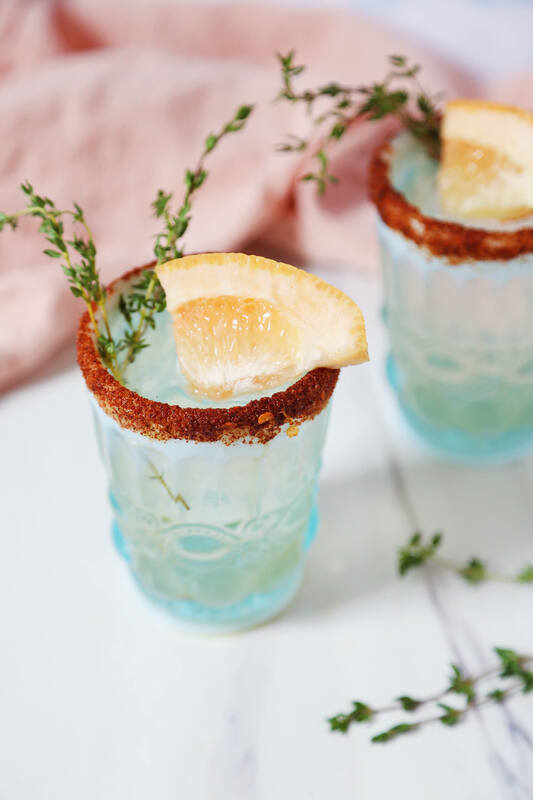 This cocktail combines the herbaceous fusion of cucumber, celery, and thyme with the fresh citrus of grapefruit and the effervescence of sparking wine. The Time After Thyme was devine and completely refreshing and very easy to make. All I had to do was build my ingredient in the glass, add ice, stir, and top with champagne. I may have had two (or three). I can’t wait to try the others and I can’t wait for you to get your hands on one of these boxes! All you have to do to enter is go to my Instagram, comment on the photo that I’ve tagged Shaker and Spoon in, tag three friends you want to share cocktails with and make sure you’re following me (@arseniclace) and Shaker and Spoon (@shakerandspoon). Winner will be chosen at random and the contest will go for 48 hours. Good luck everyone, and hurry up and enter!